A comprehensive variety of organic breads are produced in the bakery which include spelt, sourdough, multi-seed, granary, white, ciabatta, cheese & onion, tomato & olive and a unique traditional brown bread. Her cakes which are also made from organic ingredients include lemon, carrot, chocolate and banana. She also makes beautiful almond tarts, biscuits, ginger bread men & women and a range of savoury tarts and pastries. Fruit and vegetables from her own organic garden are used extensively and frozen to be used out of season. Vi believes that good nutritious food should be delicious too and that additives are unnecessary. Every effort is made to bring a quality product at an affordable price to the food conscious customer. 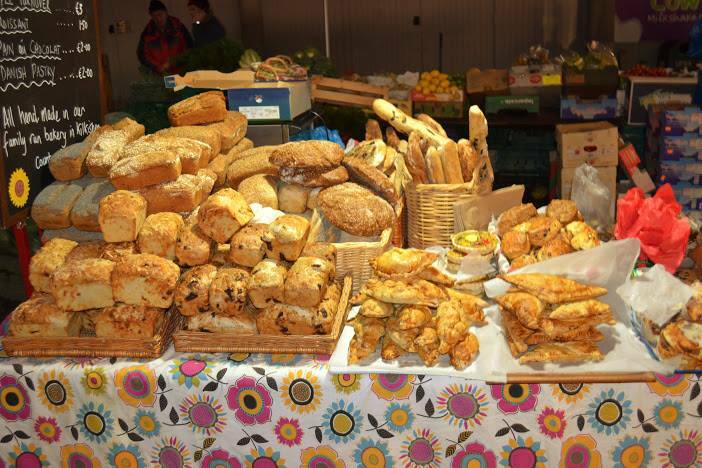 The Sunflower Bakery stall at the Milk Market stocks a range of whole foods along with its healthy, nutritious and great tasting baking. The Sunflower Bakery is at the Milk Market every Friday and Saturday at stall 50.